Acne always causes psychological discomfort and difficulty in his personal life, and even the inability to find jobs. In order to combat acne, dermatologists for decades used the pill. However, international recognition, including in our country, contraceptives received only recently. What is the relation between methods of birth control and acne treatment? Birth control pills are hormonal contraceptives. Female hormones are directly related to the occurrence of acne: sebum production is stimulated by androgens – a group of hormones. And hormonal disorders, such as during menstruation, when women begin active adrenal androgen production, can lead to outbreaks of acne. Hormonal drugs inhibit the production of this group of hormones that reduces sebum production and reduces the likelihood of acne. Only contraceptives among all methods of birth control are good for acne treatment. Such methods of birth control use a combination of the hormones estrogen and progesterone. Common combination of this kind is, for example, drosperinone, which is contained in hormonal contraceptives Jess. It is no coincidence that the new generation of hormonal contraception called “beauty contraceptives”. How do methods of birth control for acne treatment work? You do not want to baby, but you are sexually active. Expect the effect may have a few months. Nevertheless, it will be sure to please you. In addition, contraceptives help to cope with only one factor responsible for acne – excess sebum. Therefore, in complex cases, in addition to hormonal contraceptives, the doctor may prescribe antibiotics or order tests to identify possible diseases such as polycystic ovary syndrome. From oral contraceptives should be avoided if you suffer from heart disease, diabetes or cancer. Also, do not use them if you smoke and you are over 35 years old, if you are already pregnant, breastfeeding, or if you have high levels of obesity. How to get maximum benefit from using methods of birth control for acne treatment? First, before you start your fight with acne with methods of birth control, you should consult with your doctor. With any prescription medication without consulting it is not to get involved. Second, strictly observe the schedule of reception, even if your main objective is not contraception, and the victory over acne. And third, do not forget about other ways to combat acne, they will help to cope with the problem without unpleasant side effects and contraindications. Represent a combination of the hormones estrogen (a female hormone produced by the ovaries) and progestin (a male hormone that is produced by the female body). Effect of the drug is aimed at lowering the tarragon, which prevents ovulation take place, as well as making the mucus in the cervix thicker and more dense, which prevents the sperm to penetrate the egg. Regulate the menstrual cycle, reduce and reduce the amount of monthly, relieve premenstrual and menstrual pain. These tablets are comprised of only the hormone progestin. This drug is given to women who have a contraindication to the hormone estrogen, or nursing mothers. Action tablets minipill is analogous to the combined pill. Do not give a form of inflammatory processes. The composition of the tablets includes a form of the hormone progestin – the hormone levonorgestrel, which is a depressing effect on ovulation, fertilization and disrupts the promotion of the egg to the uterus, with subsequent attachment. How do birth control pills affect acne? So, how does the pill the effect of which is directed at avoiding unwanted pregnancy can be oen of the methods of birth control for acne treatment? There are situations where uninterrupted years-long struggle with acne begins at puberty and continues until menopause (menopause). No cosmetic remedies for acne and potent medications can not give positive results, if a girl or woman broken hormones. In such cases there is a need to address the hormonal imbalance that can cause excessive oily skin and acne, not only on the face but also on the body. 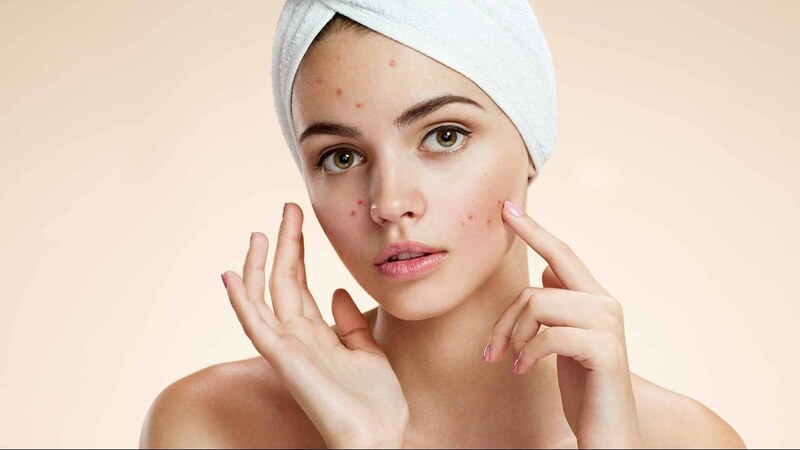 Birth control pills fro acne treatment can help get rid of acne because they are based on hormones, which, along with its basic functions normalize the sebaceous glands to slow down excess sebum. They also help to withdraw of excessive fluid from the body, reduce swelling, which leads to a decrease in the number acne or to their complete disappearance. In some cases, in order to acne completely disappeared and did not appear necessary to take tablets a very long time. But, as the long-term use of pills for birth control for acne treatment can cause severe disturbances in the body of a woman, until severe illness, then make their own birth control pills for acne is not necessary. I do consider all thhe ideas you’ve offered for your post. newbies. May just you please extend them a little from subsequent time? knew of any message boards tat cover the same tipics discussed in this article? I’d really like to be a part off community where I can get feed-back from other knowledgeable people that share the same interest. on. You have done aan impressive job and our entire community will be thankful to you.